Guilt and self-doubt are often major players in the unconscious mind, often buried under defenses such as intellectualization and compulsive behaviors. Suggesting intensive work is to offer the opportunity to get closer to ugly feelings which are uncomfortable, and yet at the same time this opportunity might give the patient a mental freedom that they never experienced before. So the dilemma begins. Is it worth it to dig up uncomfortable feelings with the hope that eventually, those feelings will be set free and released from the unconscious? Who is to make this decision? The patient, the psychoanalyst or both? The therapist, knowing that the journey will be rocky might hesitate to suggest deeper work for fear that those rocky patches might, as the cartoon below suggests, turns out to be his life. The patient, in turn, might say he does not have time or money to do intensive work, but deeper down he resists for fear of bringing up painful feelings. Seth, thirty-three, comes to mind. He lives off of his dad’s money, reporting, at first, that this does not bother him “because my dad is rich,” but on further exploration, Seth reveals that the pain of taking money from his dad is unbearable, but the idea of getting a full-time job is also unbearable, so he would rather take money from his dad. He continues to say how small he feels as a person because he is not financially independent. As we slowly explore the bind that he has put himself into, we more clearly see how his dad wanted to make Seth dependent on him, so the dad could feel good about himself, such that if Seth were to break free from his dad, his dad’s self-esteem would suffer terribly. Understanding that part of Seth’s behavior is an effort to keep his dad feeling good about himself, freed Seth to examine if he really wants to take care of his dad in this way. Yet, to get to that point, Seth had to feel the guilt of taking money from his dad and the associated guilt for refusing to grow up and make adult decisions. This was a tough journey, mostly for Seth, but for me, as the therapist, as well. The growth from this experience seemed to be worth the agony, but it is not always an easy call. Providing access to mental health care is an essential part of the health care system. Duh. Yet, prior to this lawsuit against Kaiser, patients were told that there is a “mental health department,” but getting appointments at appropriate intervals was simply not happening. Patients were being funneled into groups, which are far cheaper to administer. Now, as I understand it, patients are being funneled towards internet support groups, which is cheaper still. 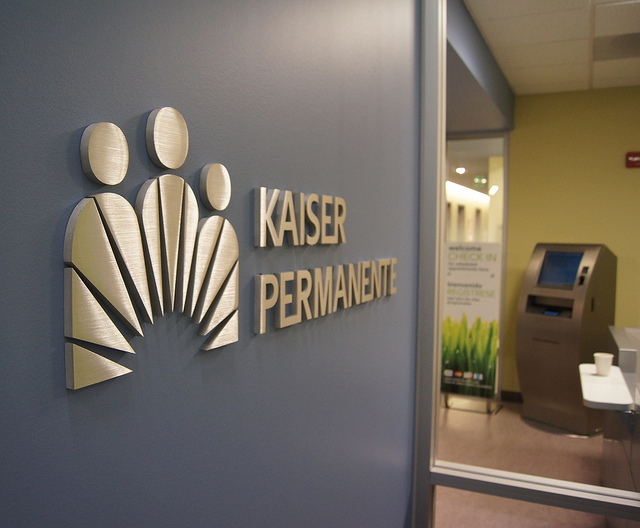 This cost-cutting approach to mental health care ultimately lead to a major defeat for Kaiser, causing Kaiser and other health care organizations to pour more funds into mental health. Still, the business of health care prevails. Patients are given what makes financial sense for the company, and not what makes sense for that particular individual. Personalized medicine might mean that one’s DNA can be decoded, but it does not mean that the delivery of healthcare is a personal experience. In fact, as technology continues to dominate our lives, healthcare is less and less personal, unless the patient can afford to go outside of the large delivery systems and then they can obtain boutique care. Physicians then become worker bees for a corporation which wants to see a larger bottom line. The focus pivots from the best interests of the patient to the best interests of the company. Sometimes these two goals overlap, but when it comes to mental health care, they are most often in direct contradiction. Listening, the skill I mostly hone, cannot be done if the focus is on limiting resources and lengthening intervals between appointments. Given that my strong feeling is that listening is healing, I wonder how physicians can feel effective when there are overwhelming pressures not to see your patients. I wonder how patients can feel good knowing that their provider has little memory for the previous visit. I am glad Kaiser got sued, but I am sad that they, and all other health care organizations, have created a system which cuts corners until they get caught. Parsons (2007) suggest that “the analytic setting exists internally as a structure in the mind of the analyst”; it is “a psychic arena in which reality is defined by such concepts as symbolism, fantasy, transference and unconscious meaning”. Whereas the external frame is focused on time and money, the internal frame is defined by privileging the notion that so much of human motivation is beyond awareness and as such, our behaviors confuse us, depress us, and sabotage us leading to uncomfortable feeling states. The combined effort of patient and therapist to understand motivation, often based on repressed past experiences, leads to an opening up of mental doors and a release of compulsive behaviors. In so doing, the patient not only gets symptom relief, but also a way of being in the world which feels expansive and exciting as opposed to constricted and limiting. As with Lacey from my previous post, the notion of limited time and money is often a metaphor for the limitations of one’s mental existence. It was only when she hurt her knee that she could see the parallel between physical limping and mental limping. Complicated knee injuries often require intensive work with a physical therapist, and so complicated mental suffering requires intensive work with a psychotherapist. 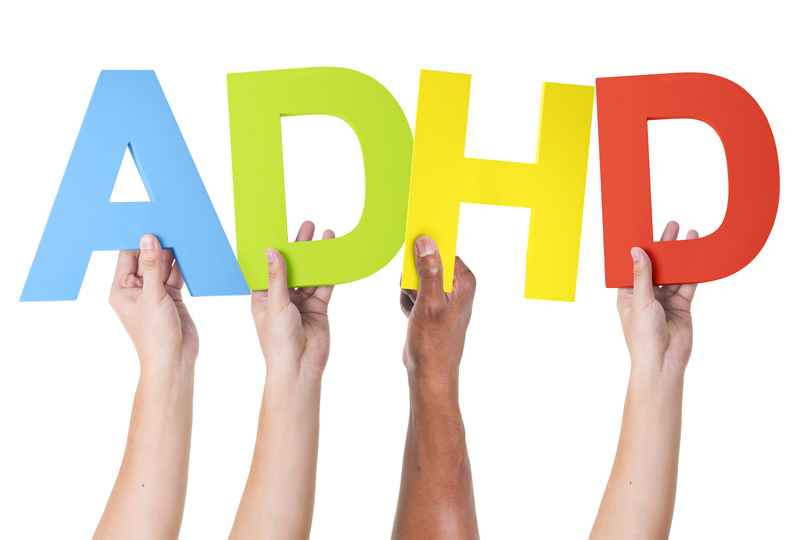 The meaning of the symptoms is the holy grail, not the resolution of them. As such, diagnostic classification is far less important than a case by case approach to mental suffering. Geneticists like to say that depression is a “heterogeneous disorder”; a phrase I find amusing given that a “heterogeneous disorder” means that each case stands alone and to date, no one can identify a common thread. Psychoanalysts, on the other hand, search for the underlying meaning and importance of this psychic suffering. Haley, sixty-one, comes to mind. She lost her husband twenty years ago, and by her report “she misses him every day and she is sad all the time.” “Why do you think you need to keep him top of mind?” I ask, wondering what her husband meant to her. Would she feel she betrayed him if she were to feel happy again? I wonder silently. Her sadness persists for a reason; a reason she is yet to understand. The conviction that together, Haley and I can come up with some ideas about why she remains psychically glued to her late husband, is the internal analytic frame. I do not mean to say that Haley could not benefit from medication, but that does not change the notion that deeper understanding of her symptoms will free her up to have multiple feelings and in so doing she will be less stuck in her sadness. This invisible conviction, this internal analytic frame, is the backbone of deep psychoanalytic work, regardless of the frequency of visits. 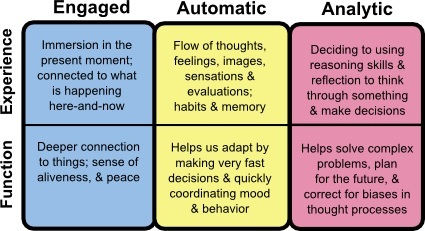 The “analytic frame” is a way of describing the notion that patient and therapist engage in a verbal contract in which the job of the patient is to show up and pay the bill, while the job of the therapist is to help guide an understanding of the inner workings of both the mind of the patient, and where relevant, the mind of the therapist as well. Breaking or expanding the frame is not taboo, but something which should be carefully considered. The invisible frame is a strong reminder that the therapist is there as a facilitator and as such, should not bring his/her needs into the therapy room. Of course, the therapist has unconscious needs from the patient, such as a need for appreciation, but these unconscious needs should be fodder for discussion, if the patient feels those needs are interfering with his/her treatment. The frame, like any boundary, allows for freedom within the limits, as a playground is fenced, but there is freedom within it. Respecting the frame, the boundaries of treatment, allows for the safety of the experience, the safety of knowing there is privacy and there are limits to how much the therapist will share his/her issues. Maintaining the analytic frame is the work of the therapist, and so in my class tomorrow, we will talk about how unconscious reluctance to maintaining that frame may cause the therapist to discourage patients from entering deeper treatment by colluding with the obvious issues of time and money. Lacey, fifty-four, comes to mind. With three little children, a full-time job and an underemployed husband, she is “certain” she cannot come more than once a week for treatment. The therapist agrees with her, as the therapist is also a mother of young children, and so imagines her time limitations. As time goes on, Lacey has a ski accident and hurts her knee. Suddenly, she is going to physical therapy three times a week and paying for it out-of-pocket. “I am glad you are going to physical therapy and taking care of your knee, but I am also aware that when it comes to your body, you find the time and the money, but when it comes to your mind, you are convinced that you have significant limitations.” Suddenly, Lacey is taken aback and agrees that she knows physical therapy will help her knee, but she is far less certain if increasing her psychotherapy will help her life. The therapist, upon hearing this, begins to reflect that her collusion with the lack of time and money was simply a projection, and that Lacey’s reluctance for deeper psychotherapy, was not about her limited time, but rather her hopelessness about the process. The therapist did not encourage creating an analytic frame for Lacey to feel a sense of hopefulness about this. It is possible that the therapist, thinking how busy she is in her own life, did not want to increase her time commitment and so conveniently fell into “there is no time and there is no money” way of thinking. The two-way street issue presents again and again. And so our class will delve into the challenge of creating this ‘analytic frame’. In today’s class we discussed how the goals of the patient are not necessarily the same goals of the therapist. Typically, the patient wants symptom relief, whereas the dynamic psychotherapist wants an understanding of the symptoms in order to achieve a deeper sense of well-being. The patient thinks short-term, while the therapist thinks long-term. This, as Howard Levine MD describes is “therapeutic ambition”. As a parent tries to help a child have a bright future, so a therapist helps the patient, not just in the here and now, but in their future as well. “I just want to stop binging,” Kelly, age fifty, tells me. “I want to understand what binging means to you,” I reply. Through understanding the behavior can lose the power, the compulsive action, as Kelly may no longer feel the need to abuse her body in that way. As I have gotten to know Kelly, we have come to understand that for her, binging was a sign of rebellion, against her rigid and judgmental mom. In an indirect way she was punishing her mom by binging such that as she understood this, she no longer felt the need to eat in this out of control fashion. The therapeutic ambition manifested as a desire for Kelly to understand herself better, in contrast to Kelly’s goal of eating normally. Although Kelly reached her goal, the method had to do with uncovering unconscious motivations and desires, rather than focusing on her diet and exercise routine. Holding to bigger picture is what deep therapeutic work is about. 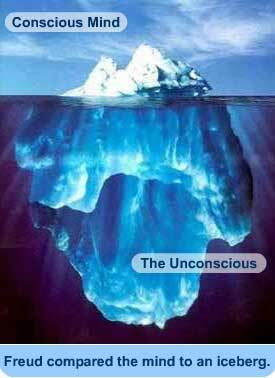 Moving away from symptoms towards unconscious mental processes is the basis for the work. Easy to say and hard to do. that is how the class ended. The psychotherapists’ technique of waiting and responding is contrasted with waiting and meeting. Can the patient trust what comes to his mind, that spontaneity of thought? This requires the capacity to tolerate uncomfortable thoughts and feelings. On the other side of the room, the practitioner of psychoanalytic therapy must have both patience in listening as well as clinical intuition to say what comes to mind. In saying what comes to mind, either as the therapist or the patient, one must risk an uncertain outcome as to how it will be received. This courage. as I often talk about in these posts, comes from a mental representation that negative feedback, either one’s own, or from the listener, can be tolerated and digested. In other words, the ego is not shattered, merely bruised. This work is based on the basic tenet that so much of what we do and what we say has layers of meaning, only a fraction of which, we are aware of. Being able to listen to ourselves is the first step towards listening to others. Defenses rise up as we are scared to get in touch with our own minds, causing painful anxiety and self-sabotaging behaviors which are designed to numb ourselves from ourselves. Josie, fifty-one, comes to mind. She is a woman who has a very rigid life. She is trapped in her routines in a way which makes her feel confined and bored. When I ask her to tell me more about her feelings, she says “I have said it all. There is nothing left to say,” further enforcing her notion that she is boring and confined. “Your mind is confined, as well as your behaviors,” I say, hoping to help her see how she imposes barrier to her thinking which leads her to see herself as shallow. “You say that a lot,” she tells me, with the tone that she needs to hear this repeatedly, with the hope that one day she will understand better as to why she is so blocked. Josie is engaged in the treatment. She wants to have a fuller life, while at the same time, her fear of change, and all of what that means to her, is inhibiting her mental exploration. Articulating this internal struggle is our work. One day, I believe, Josie will know herself significantly better.